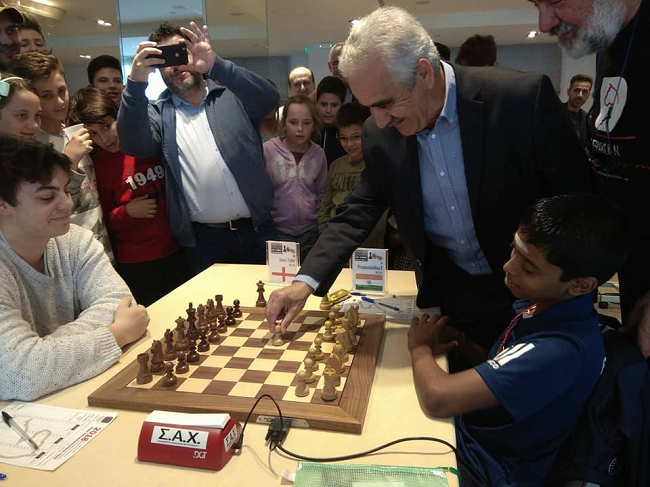 “Playing is about expressing the love he has for the game,” says the 12-year-old Grandmaster’s father. On June 23, in a nondescript town in Italy, a Chennai boy was scripting history as he silently moved one chess piece after another, cornering his opponent with every move. And while his play was aggressive, 12-year-old Praggnanandhaa's face was a picture of serenity, with white ash smeared across his forehead as he waited for his rival to recognise the unavoidable loss ahead. Soon enough, home favourite Grandmaster Luca Moroni Jr buckled under Praggnanandhaa's attack, paving way for a landmark achievement. The pre-teen from Tamil Nadu became a grandmaster at the young age of 12 years, 10 months and 13 days. He is the youngest to earn this title in India and only the second youngest to race to this achievement in the world. So, when his father Rameshbabu told TNM that the family was initially against this young champion playing chess, it comes as nothing short of a shock. "Praga was only three-and-a-half years old when he began showing interest in the sport," says Rameshbabu, a 53-year-old bank employee who lives in Padi. "His elder sister Vaishali was already being coached in the sport and is an International Master. Our financial situation was such that we could hardly manage to fund her classes and ferry her around. And when Praga took a keen interest in chess, my wife and I could not afford to let him pursue it," he adds. Rameshbabu is a person with disability as he was affected by polio at a young age. His wife, Nagalakshmi, is solely in-charge of taking the children to school and extracurricular activities. With the family of four sustaining on a single income, they had to tighten their purse strings. "But the passion in him to play chess was unstoppable, I had to give in and put him in coaching classes. And he has been unstoppable since," the banker says, laughing. "He was just six years old when he came second in the Under-8 national championship. That is when I knew that I can't hold him back because of our financial situation. I put him in RB Ramesh sir's coaching class soon after that," he adds. 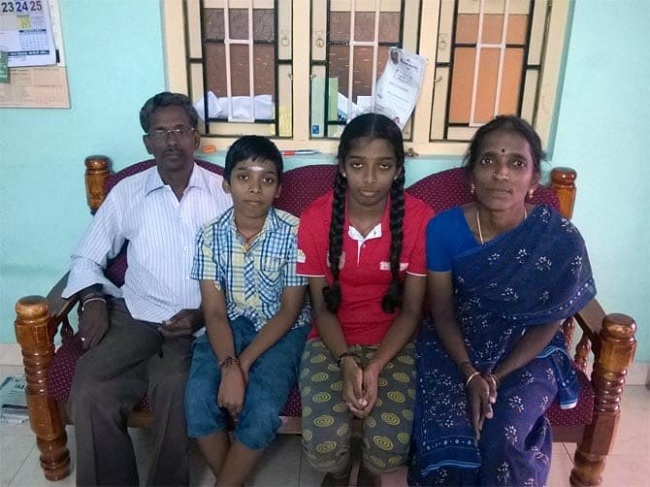 Praggnanandhaa and his sister Vaishali have both been travelling across the world for various tournaments. The children would always participate through state selections to ensure that the government would help them bear the cost of the trip. But even then, Nagalakshmi would have to accompany the children, which meant that Rameshbabu had to pay for her flight tickets. Till today, both parents have never been present together for an international match or for one even outside Chennai. "Tickets for a single adult comes up to Rs 70,000. We can't go together. And with my disability, I will have difficulty navigating a foreign country," says Rameshbabu. This year, however, Ramco has agreed to fund the young champion's trips overseas for tournaments. "All that matters is that the children be able to go and play well," he adds. 'Play well', however, is an understatement when it comes to the Rameshbabu clan. Praggnanandhaa had already achieved his first GM norm in the World Juniors 2017. He then went on to bag his second GM norm at a closed round-robin tournament in Greece. In that tournament, he crossed 2500 Elo rating points. In Ortisei where he is currently playing, the pre-teen has had a flawless run so far. He has five wins under his belt and is in the second position in the tournament. He will be playing Pruijssers Roeland from the Netherlands in the ninth round. Roeland has a rating of 2514. "He has gotten this far because of his dedication and commitment to the game. His coach is to thank for his game reaching this level," says Rameshbabu. "My wife and I didn't know the ABC of chess when the children started playing. We are still far behind in the technical knowledge but his coach is available for him 24x7 and will answer any doubts. He constantly gives them guidance," he adds. Praggnanandhaa practices the game for at least six hours a day. In addition to this, he attends weekly camps held by his coach that last from 10 am to 5 pm. He also watches matches played by senior players online, hoping to constantly learn more. "He plays other outdoor sports too when he wants to relax his mind. When his focus is not on the board, he is quite a handful. But he saves most of his aggression for the chessboard," Rameshbabu says with a grin. "He studies well but the main focus remains chess. Academics take a back seat," he explains. But despite all this success at such a young age, Praggnanandhaa is unaffected by victories or failures. "If he wins, he is happy but he really doesn't let it go to his head. He just wants to give every game his hundred percent," says Rameshbabu. "Even now, he most likely won't even react to the GM title. To him, playing is about expressing the love he has for the game. Even when he loses, he looks to learn from it. He doesn't get very perturbed. His coach often says this is his best quality," he adds. It is not just the pre-teen, however, who remains grounded. The entire family takes losses and wins in their stride. Rameshbabu hasn't been able to speak to his son since he won the title. "We haven't gotten a chance to talk because of the different time zones. I spoke to my wife who was happy about the win. But even if I did talk to Praga now, we probably won't even mention this achievement," he laughs. With his children bagging multiple titles in this intellectual sport, what does he expect next? "I've managed to fulfil his wish to play. But he keeps asking if I will accompany him to tournaments," says Rameshbabu. "And I hope that one day, I can fulfil that one desire of his too."